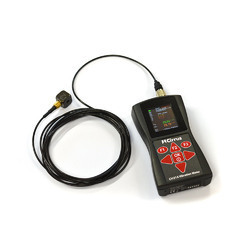 The CV:31A RevoTM Vibration Meter provides a simple and convenient way to measure, analyse and assess vibration data in accordance with standards such as ISO 5349 and European Directive 2002/44/EC. This is a microprocessor based Vibration Measuring, analysis and balancing instrument with memory for Analysis results and PC data transfer for trending the spectral information and printing Magnitude v-s frequency plots. It also has inbuilt balancing programs for 1-plane and 2-plane balancing. We use the most modern measurement equipment (FFT-Analyzer + PC calculation programs). Our decades of experience in the field of vibration technology guarantees technically and economically reliable solutions for your problems. We offer Vibration Analysis services. These are used to detect the early precursors to machine failure, allowing machinery to be repaired or replaced before an expensive failure occurs. Our services are highly demanded by the clients. 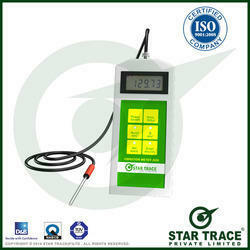 Offered services are executed by our engineers in adherence with the industry laid standards. VIBRATIP is a NHS , UK developed small pocket size portable disposable device used for screening and detecting diabetic and peripheral neuropathy. VibraTip a Key fob sized device provides a constant and reproducable source of vibration.